The US carrier provider Verizon Wireless has offering the exclusive “ Football Leather” back panel for the Motorola Moto X (2014). 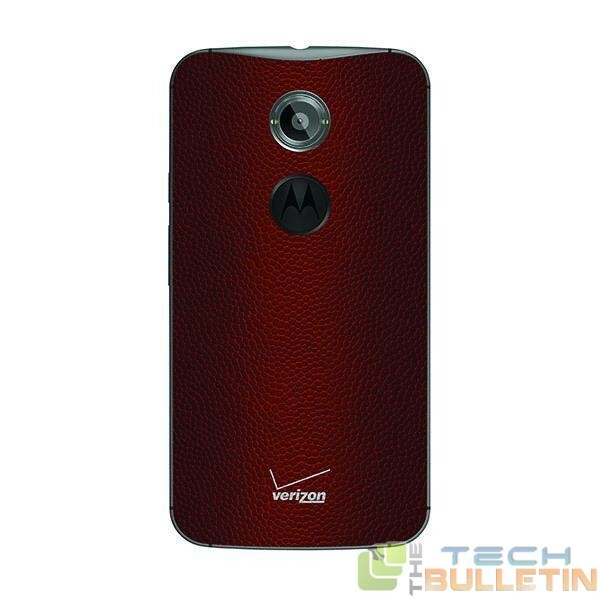 The “football leather” version is for Motorola Moto X comes in a dark red, stippled leather rear case. Customization has always been a huge selling point for Motorola‘s Moto X line, especially with the newest option Its available at a price tag of a $119.99, the same price Verizon charges for the wood model of Moto’s handset. The plain black version is also available for the Moto X 2014 user which is slightly cheaper then Dark Red one, the Black variant is available at a price of $99.99. These new panel has offered a different as well as fresh look to the Moto X. These back panel are offering something a bit different than the default options — and you’re too impatient to bother with Moto Maker — at least a new option’s there. Many of the users may find the football leather option atrocious, Whereas the Network Provider Verizon must think that there are enough diehard fans out there to warrant making a whole new leather back option. The Dard Red Football Leather back panel for the Moto X gives similar kind of feel and look to the Moto Droid Smarphone.